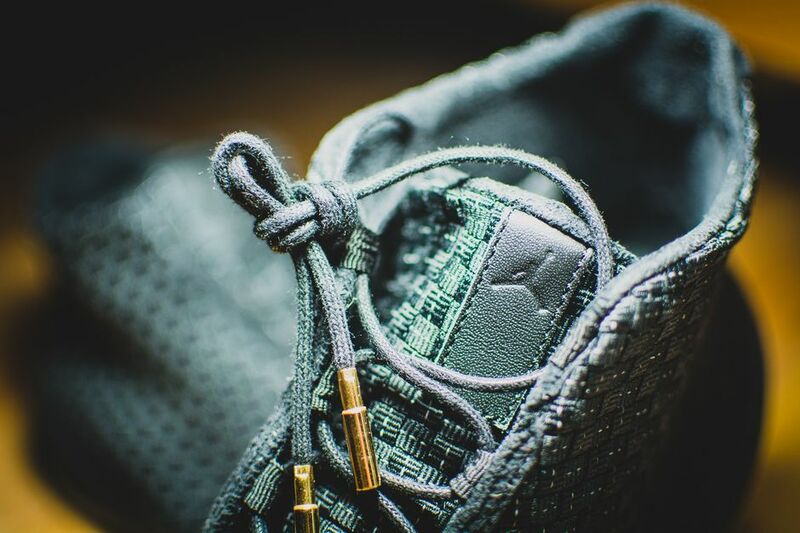 Around The Office: Jordan Future "Glow"
anyone following this year’s festivities in New Orleans saw a sneaker game that was as high-scoring as the action on the court. 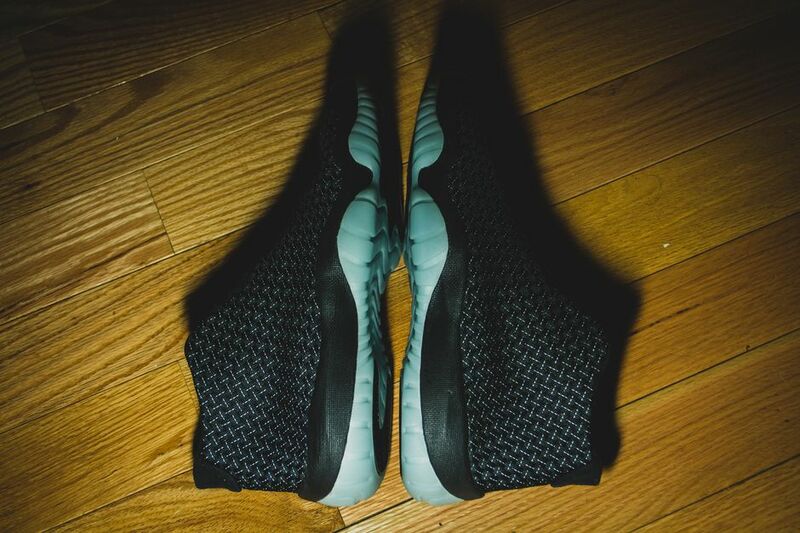 The provocative silhouette of the Jordan Future generated considerable buzz among the new styles showing up on elite feet. 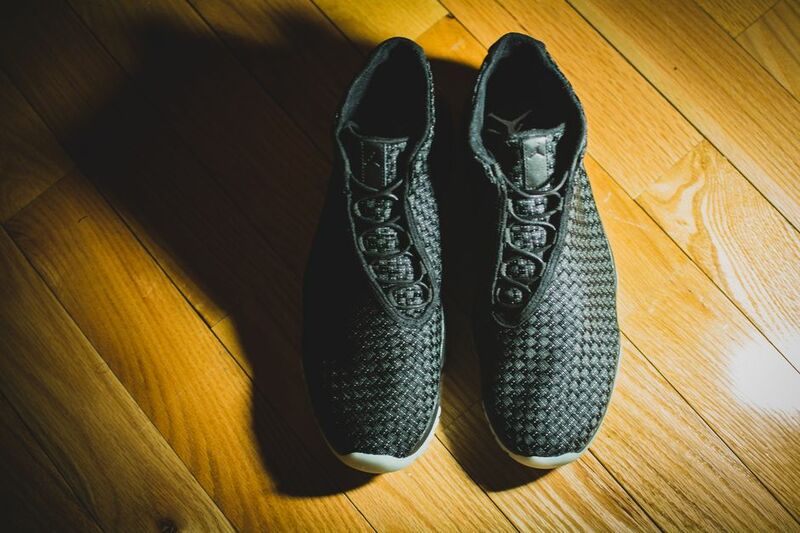 Paying tribute to the symbiotic relationship between the court and the street, the Jordan Future blends one of the brand’s most iconic designs with a one-piece woven upper to create an entirely new look. 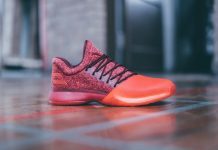 The result is audacious, designed to provoke the continued evolution of the Jordan Brand’s off-court lineup. 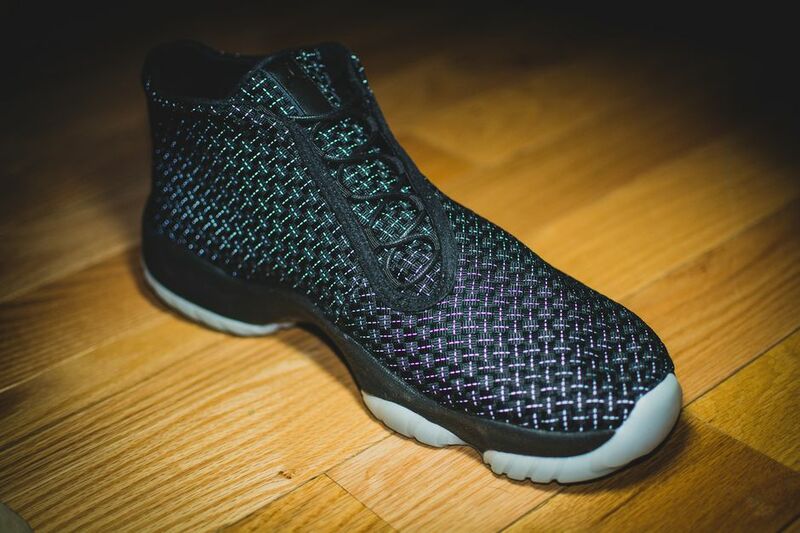 With a carbon fiber plate and full-length air outsole, the Jordan Future offers lightweight comfort and cushioning. Enhancing the minimalist nature of the shoe, the deconstructed upper foregoes a heel counter and toe enforcer. 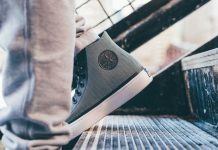 The asymmetrical lacing reduces pressure across the top of the foot, while the suede interior and ankle collar enhance comfort. 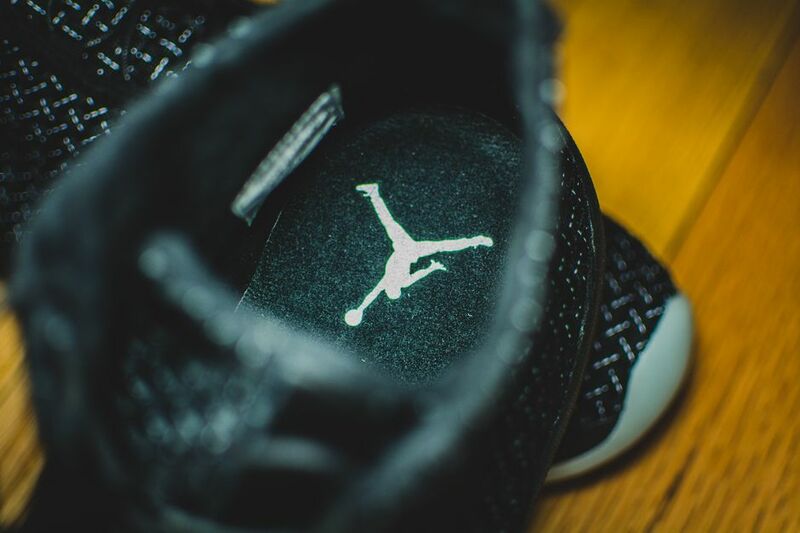 Although the shoe features overt design elements with minimal branding, there are some subtle inclusions that make it a standout. Reflective threading amplifies the woven construction by catching available light with surprise reflectivity, and waxed laces with gold lace tips add to the sophistication. 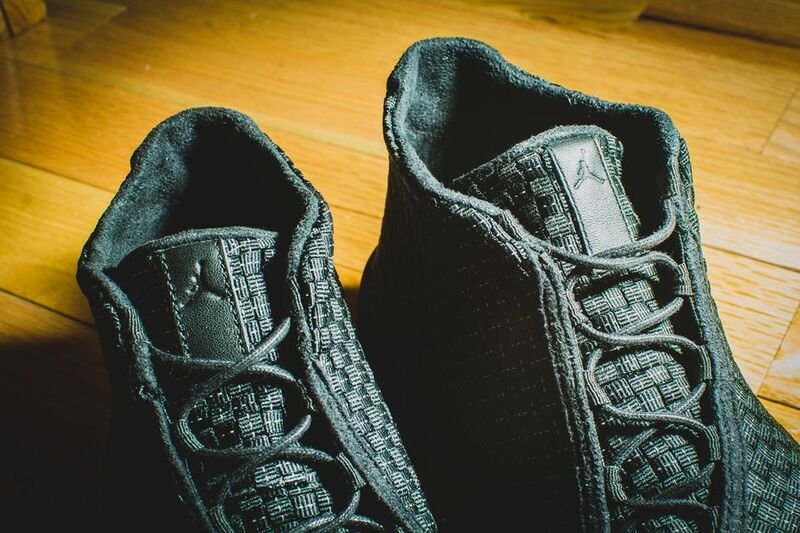 On March 15, the Jordan Future will debut in two color ways: Infrared and Glow. 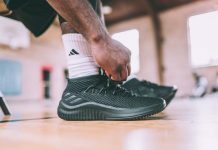 Both feature a black woven upper with reflective accents and a semi-translucent outsole either in the iconic infrared or glow-in-the dark color. 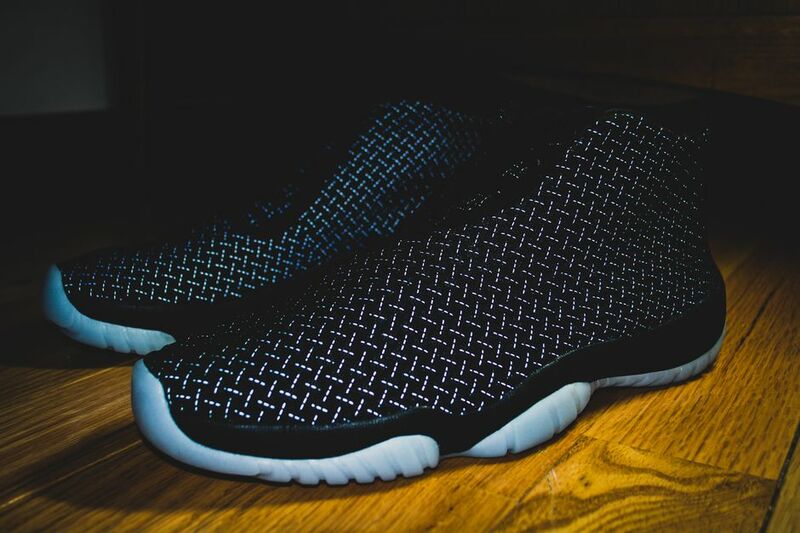 The Jordan Future will be available for $185 at Flight 23 at Footaction in New York City and select retail stores nationwide.